I was born in 1979 in Bruneck, Province of Bolzano, in northern Italy and speak fluent German, Italian, and English. I worked as project manager in Bolzano for almost 10 years (PMP certified), and I'm an enthusiastic mountain climber and marathon runner. It was precisely because of my passion for running that I discovered Ethiopia. Since 2009, I'm traveling and now living there, managing an ecotourism company. Each of our destinations in Ethiopia consists of a certain idea, a pleasure to explore landscapes, culture, and people. For some years now our network is extending in all directions of Ethiopia and beyond. People from various cultures and different social environment are involved, such as cooks, cleaners, porters, cultural guides, muleteers, coordinators, assistants, mountain guides, and each one of you who joins us on a tour. For us, it is an important concern to treat all persons, who are involved in this small network with their hard work, with respect and fair payment, because only then we can be part and not just users of this network. "Trekking and hiking tours, adventure, kayak- and canoeing, cultural tours, coffee tours, birdwatching, UNESCO Biosphere Reserves." "I'm enthusiastic mountain climber and marathon runner. It was precisely because of my passion for running that I discovered Ethiopia. Since 2009 I'm travelling and now living there, leading as manager a tour operator." In recent years, Ethiopia has become one of Africa’s leading birding destinations. Its bird life represents an interesting mixture of East and West African, migrant and some unusual endemic components. I'm happy to hear that with Elyas we've chosen the correct guide for you and you enjoyed the tour in its full extent. I'm happy to hear that you enjoyed the time with Mihiret. It is nice to know that you have enjoyed the trip. It is also great that you had two fantastic events,despite the fact that there has been some disappointment which will be a good feeback for us. We wish you had an opportunity to meet those jewish family in Addis and we will be aware of that in the future, if we receive the same kind of people like you, having the same interest. Marco was so helpful and always responded very promptly. All the guides and drivers were great, especially Haile. Hi Jen, I'm glad you enjoyed the time with Haile and that it was a good decision to take him as driverguide. My mother and I had a brilliant time in Ethiopia, and the quality of the trip exceeded our expectations. Marco and Yirga were very helpful, flexible, with a constant smile, and looked after us the whole time. Every day was different and captivating, with knowledgeable local guides who also helped us understand the local life and the people of Ethiopia. 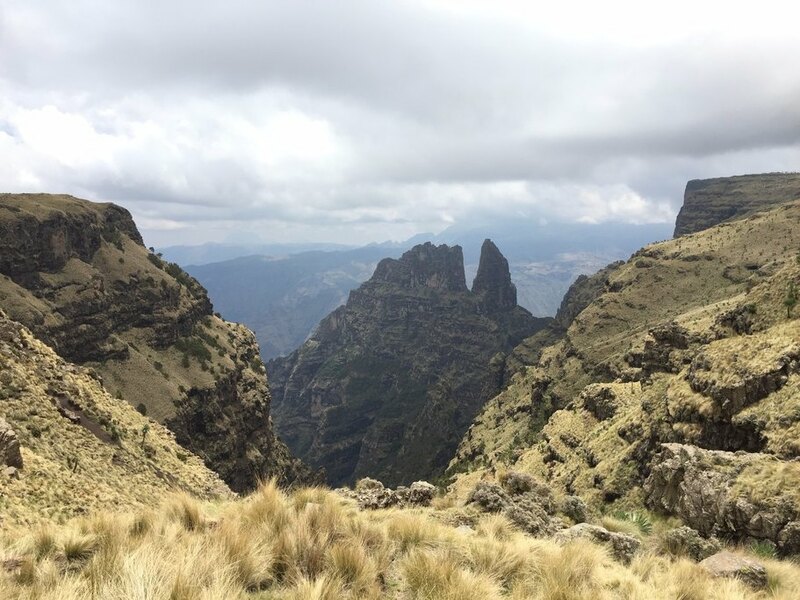 We highly recommend a visit to Ethiopia, and Simien Eco Tours. You will not be disappointed. The tour was good however the guide and entrance fees were more than previously stated by email from the company. Considering the tour only pays for transportation and not the guide, entrance fees, or food it was quite expensive. Marco was fairly prompt in answering my questions by email. Debre Libanos Monastery was quite interesting and the highland views minus the pollution are quite pleasant. The red terror museum was a very and eye opening interesting experience and the driver was kind and helpful. "...yes, a guide is mandatory and about 400-600 Birr, depending what you're seeing. For entrances you can consider 500 Birr per person, maximum." So you see that the fees are largely within the limit I gave you. Therefore I totally disagree with your comment and find your vote 3 out of 5 unfair, considering also that we were flexible enough to anticipate the daytrip by 2 days with very short notice. Marco and his assistant were really quite perfect for what we were looking for---10 hour lay-over, we were met outside and taken care of by Marco, who showed off his Ethiopian pride by showing us a capsulated version of the vibrant city. We feel that he sensed what we were looking for and was generous with his knowledge and money---we had little cash, so Marco paid for some souvenir with his cash and we settled up at the end. We loved the enculturation of hanging with local people, coffee ceremonies, lunch, breakfast and the markets. I highly recommend this kind of trip to anyone who has a brief time in Addis ESPECIALLY for the food and culture. Thank You to all. you had very short time, but I'm glad that you fully enjoyed it. I had wanted to go to Ethiopia for sometime, when it was decided I searched the internet for a company that could deliver the tour that I wanted. I found kimkim and through them found Marco from Simien Eco Tours. I also looked at least 3 other tour operators. I had a specific list of things I wanted to see and was open to suggestions of what else Ethiopia had to offer. 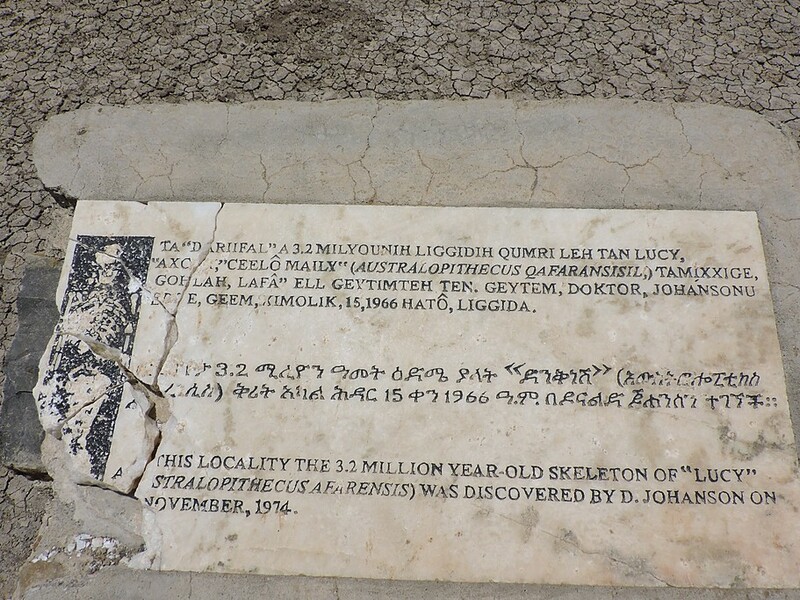 I specifically wanted to go to Aksum, Lalibela and the archaeology site where 'Lucy' was found. I emailed Marco stating as much and his first reaction to the Lucy site was 'why would you want to go there, there is nothing there'. I must admit I was a bit annoyed that I received this reply and responded with 'Because I want to!'. 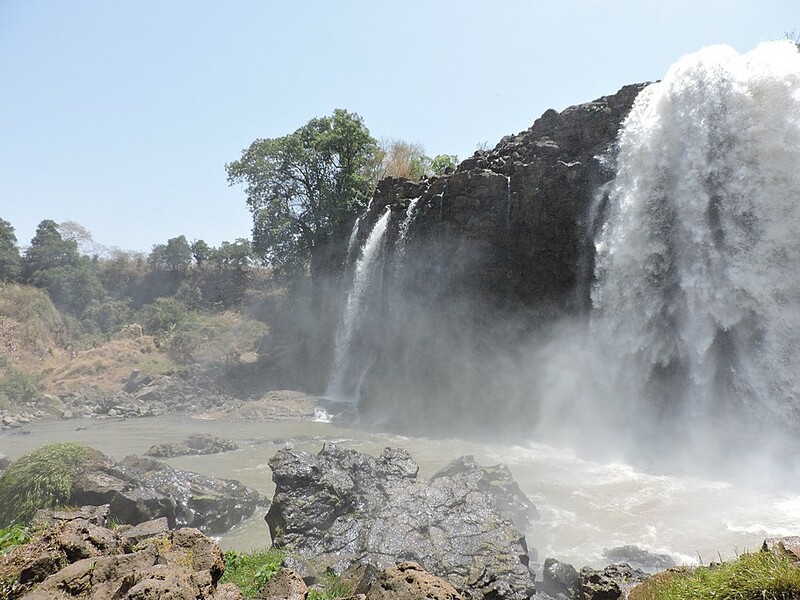 His reply to me was a detailed itinerary of our trip which included the northern historic tour of Bahir Dar, Gondar, the Simien Mountains, Aksum, Lalibela and then a drive to Samera and the Lucy site. The fact that he immediately responded to the request of the client sealed the deal with me. The itinerary was more than I had anticipated and was delivered very professionally. We were met at the airport by Marco taken to our hotel to freshen up from the long trip. We met a short time later and he advised us of our trip in the days ahead. We were taken to see the National Museum and the displays therein. My focus was on Lucy and I was not disappointed. However, if you are looking for a museum similar to the Egyptian Museum in Cairo then you will be disappointed. This is Ethiopia and I think that western tourism is in its infancy, the infrastructure is still a work in progress. We were then taken to lunch, to be introduced to the local food, injera. We went to the Taitu Hotel, as Marco advised it is in a seriously rundown condition, there are bedrooms, but you certainly wouldn't stay there, however the restaurant hadn’t changed in a hundred years and the food was great. And he wasn't wrong, it is a great restaurant for the tourist to begin. Marco had to beg off after lunch and left us with Mohamed and a driver, we were asked where we wanted to go and decided to have a look at the Mercato Markets. 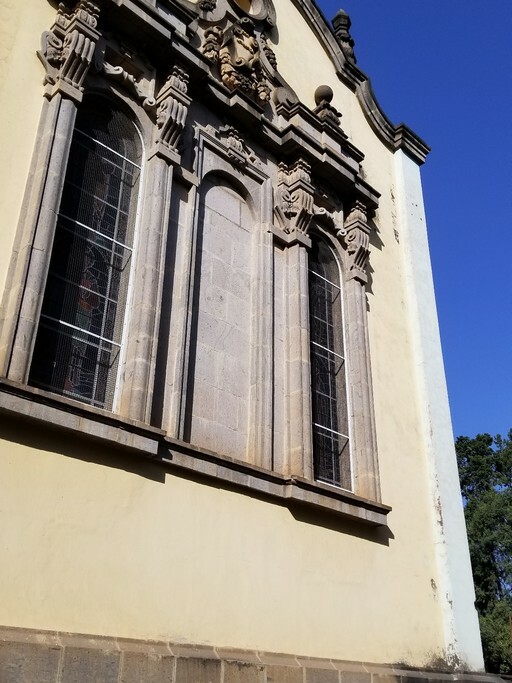 We also spoke about other things to do in Addis, the only other choice was a church. 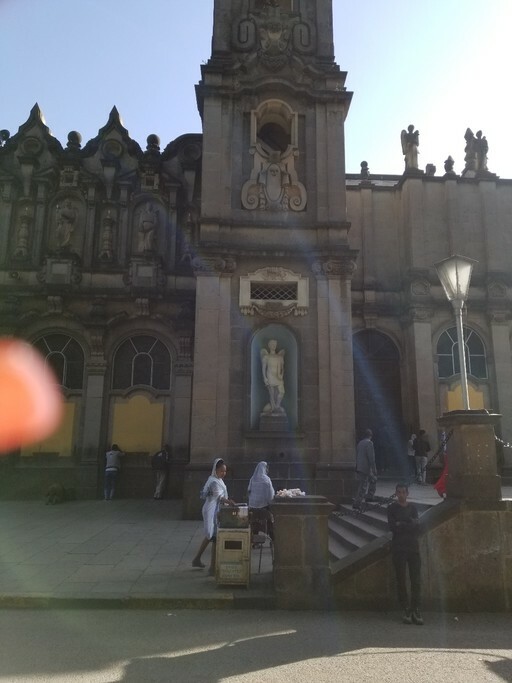 We don't go travelling without doing some research on the place and I already knew that there is not a lot to do in one day for a tourist in Addis. We were happy with the Mercato for a couple of hours. Marco picked us up in the morning and took us to the airport for our flight to Bahir Dar where we would meet our guide Yirga who would look after us for the next 12 days. The flight was uneventful and were met an hour later by Yirga and our driver Awasha. Over the next 12 days Yirga was the best. His English was excellent, his knowledge of all things Ethiopian fantastic. He told us that he had been a guide for at least 15 years, this certainly showed, what really impressed me was his enthusiasm. Bahir Dar was excellent, a trip to the Blue Nile Falls, a boat trip to the 14th century monastery was a great day the next day we drove to Gondar. At Gondar we had a guide (I apologize for not remembering his name) who showed us around the castle (palace) and a couple of churches. One thing which always pleases me is the knowledge that the guides have of what they are showing you. The castle you might be able to see in half an hour, with the guide we spent 2 -3 hours and learned so much, I wish I could remember it all. On to the Simien Mountains the next day. A simply wonderful drive, we arrived early afternoon and after checking in Yirga suggested a short walk. He loves trekking and short walk to him was 2 hours, fortunately for us it was all downhill!! 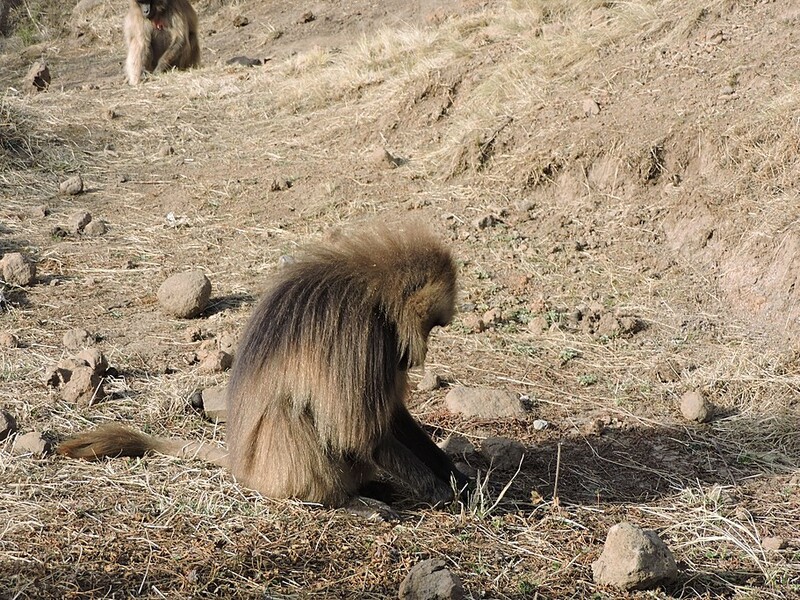 Along the way we saw a small group of gelada baboons, several different birds and many species of plants all which Yirga knew the English names. We were met 2 hours later by our driver with the car and were driven back up the lodge. We were stopped by a large group of gelada's. Having these animals within an arm’s reach was quite remarkable. Next day off to Aksum. Aksum is a very holy city and if you don't know anything about it get on the internet and do your research, 2 days was not enough. Again, Yirga made sure that we were Ok and again provided us with a guide for the city and surrounds and again everything was exceptional. We flew to Lalibela and were met with a new driver, Bekele, a great driver and a very nice man. Again, we had a great guide and again we had a great time in Lalibela. Lalibela is the hone to the rock hewn churches and they do not disappoint. After spending a day and a half looking at the churches, we went to the open-air market. It was Saturday and market day, and what a great market this is, through the household goods, pots, pans etc through the vegetable area, through the meat market, meat was still live on the hoof, sheep, goats and cattle. Then onto the grain, wheat, split peas, tef, all for sale (tef is the grain they use to make injera) Then onto the spices, what a great day. A quick note on the hotels we stayed at, as earlier stated tourism infrastructure is still a work in progress, the hotels look nice and the staff are unbelievably friendly and accommodating, but not everything works as you might like, accept the small inconveniences as a work in progress and have a good chuckle. You don't live there, are only in Ethiopia for a short time so enjoy. For me the best was yet to come. We had a long drive to the city of Samera, not that it is far in distance but the roads, goats, sheep, cows, people on the road slow you down a bit. However, the scenery was fantastic. We drove for about 7 hours with a couple of stops for coffee and lunch. The next day we drove south to the Hadar region, stopped in a small town to negotiate with the town mayor for the right to drive to the Lucy site, all the official paperwork in order and off we go across the landscape, we had to take the town mayor and another. Along the way we went through an administration centre, a few buildings in the middle of nowhere, we picked up the local policeman (not sure why) and set off for another 45 minutes through the landscape. We arrived, walked for about 10 minutes over hill and dale and came to a stone cairn with a plaque stating that Lucy was discovered here in 1974. There was much backslapping, hi-fiveing and hand shaking, why because it turns out that we are the very first tourist to ever visit this site. Over the years there have been a few archaeological groups come out and survey or dig, a couple of documentary groups but never any tourists except us. It was Yirga's first time as well and he was as excited as us. I know that I have waffled on a bit, but I wanted to try and give you an account of the great trip we had in Ethiopia. I cannot praise Marco enough for the organisation of the trip that he put in, there was no hiccups. Yirga, what can I say about this young man, except that his attention to us, our needs and wants went far beyond what I was expecting. I have no doubt that he provides this level of service to all his clients and he will truly make your holiday memorable. To Marco and Yirga and all who made our holiday what it was, I can only say Ameseginalehu. wow, what a long review full of enthusiasm! This shows me you really enjoyed the tour. I'm happy to hear that your expectations, especially in terms of the Lucy site, have been fully met. Visited Addis Abbaba, LALIBELA, Gondar, Simien Mountains. The places were in an itinerary suggested by Marco after evaluating my personal interests. I saw amazing churches with amazing architecture, sat with wild baboons, tried cultural foods and unexpected dancing! This trip was amazing. I would recommend Ethiopia for a unique travel experience and definitely recommend this company! it's good to hear that you enjoyed your trip and have been satisfied with our services. Marco was disorganized and did not have your stereotypical tour guide personality. He constantly couldn't answer basic questions like "what do locals eat" or "what church are we touring?" Then there was no one waiting for us when we arrived at the airport in Lalibela. 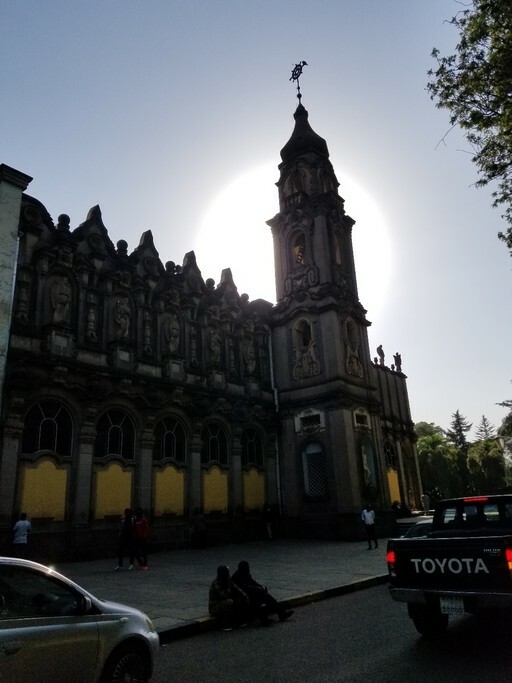 I was expecting to book a LOCAL guide, but all the places we were taken to in Addis Ababa were what we would call "tourist traps" - buffet dinner for tour groups and shopping stops for major tour companies. Definitely not what we signed up for! I didn't enjoy Addis Ababa, but the local guide in Lalibela was great. I'm sorry that not everything went as you expected. On the other side I see you focus only on the negative aspects and do not mention the things you liked. I don't find the vote of 1.5 out of 5 fair for a 3.5 days tour in which you enjoyed the 2 full days in Lalibela while only the first half day was below your expectations. We tried to satisfy you as much as possible and will continue to do this with our customers in the future. I have been traveling internationally all my life, and have been to 50+ countries and counting. In my experience, there are 2 kinds of tour companies - the big bus kind, where everything is regimented - you stay at hotels and eat at restaurants that cater to tours, and are given a strictly regimented, one-size-fits-all itinerary, where you get picked up and bused around all day, passively being fed information by a guide who recites factoids over a microphone at each known tourist spot, and gives you 10-15 minutes to wander around on your own before hustling you back on the bus to head to the next spot. Then there are the kind that offer tours that cater to your specific interests and needs. Where they ask you what kinds of things you’re interested in doing, and find ways to make that happen. I’ve done the former when traveling with my first-generation, elderly parents who really like the comfort of having everything handled for them when they’re on holiday, and who don’t mind tourist traps at all, but when I’m on my own or with friends, I always guide/explore myself or opt for the latter. This October, my friend and I wanted to go to Ethiopia, among other places in East Africa,and thought with a tagline like “book unique trips, customized to your needs, with the help of reliable local travel specialists,” Kimkim would provide us with a guide or guides in the know who would not only be able to show us the top sights, but give us a true taste of local culture. Unfortunately for us, Kimkim did not deliver, despite being backed by former TripAdvisor top dogs and having strong reviews, which I now am firmly convinced were all fake reviews written by friends and family. In fact, what we had with Kimkim was the worst of all worlds - we neither had the comfort/security of a big bus tour where everything runs like clock work, nor anything one could say was unique in any way other than uniquely poorly planned. Marco was our local Kimkim liaison. He was incredibly responsive during the booking phase, but that’s where that ended. 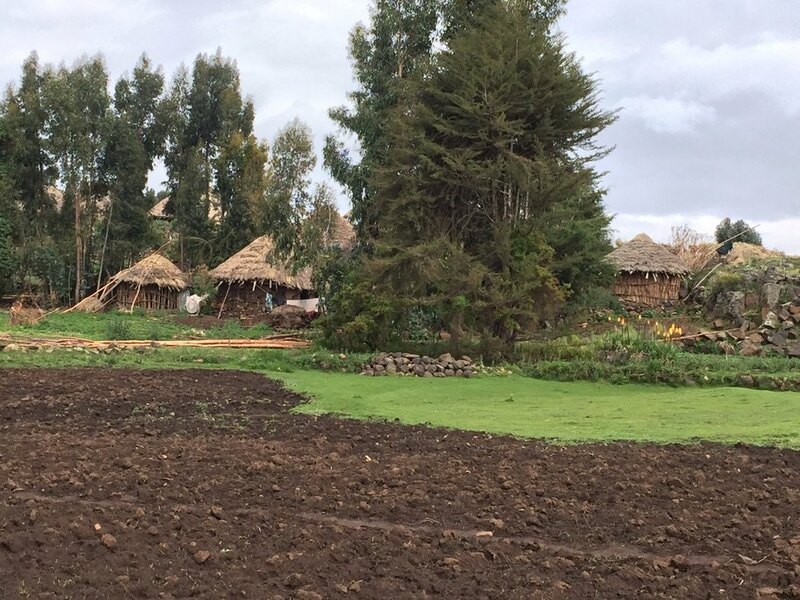 We booked a 3.5 day tour in Ethiopia through Kimkim, planning to spend the first half-day and last day in Addis Ababa and the intervening 2 days in Lalibela. Marco was going to guide us in Addis Ababa, and hand us off to someone else in Lalibela. I was upset pretty much from the minute we landed in Addis Ababa. Here’s why. Apparently, a few weeks before we arrived, Ethiopia enacted new laws requiring people to register mobile phones at the airport when entering the country in an effort to combat counterfeit phones. Marco did not think to alert us of this. In fact, my friend only found out from him just before we boarded our flight to Addis because she planned to get a Sim card in Ethiopia and was asking him about it. He did not tell me or tell her to tell me, and we assumed I did not need to do it because my phone is not unlocked and therefore I was not eligible to get a local Sim card anyway. So imagine my surprise when I cleared customs and exited the airport, only to have Marco tell me that he thought maybe I might have to register my phone even just to use WiFi and that I should try to go back into the airport and do it. Ethiopia, however, is very strict about airport security, and does not allow anyone who has already exited the airport to simply reenter. In this day and age, where everyone has a mobile phone and often relies on it for work - which both of us were having to do to some degree while in Ethiopia - we did not understand how a local specialist would not think this was extremely pertinent information to share with all visitors. Suffice to say we felt we had gotten off on the wrong foot. Our flight was delayed 20 minutes, and it was around 2 when we wrapped up at the airport, and we were starved. So we asked about local snack foods. But were told that Ethiopians don’t have any snacks. We did eventually end up at a juice bar getting fresh juice that was quite lovely, but we found it impossible to believe that there were no uniquely Ethiopian snack options at all. Then we were supposed to do an afternoon city tour. 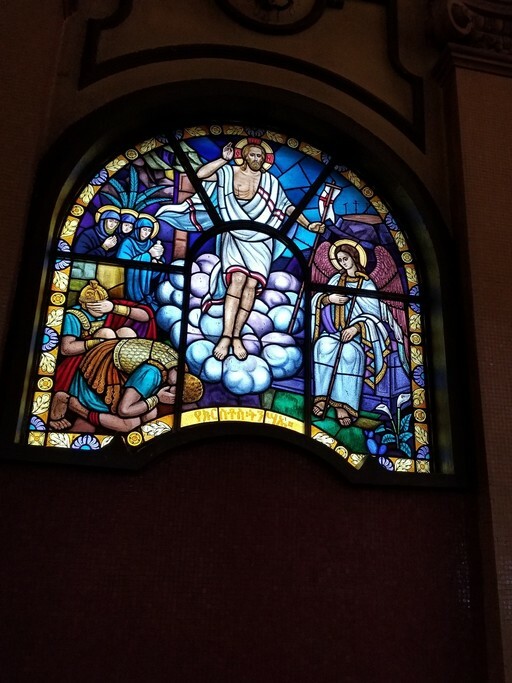 We were taken to Trinity Cathedral where the last emperor, Haile Selassie, is entombed. According to Lonely Planet, this is the second-most important place of worship in the entire country of Ethiopia. As of today, TripAdvisor ranks it #4 of all things to do in Addis Ababa. In short, it’s a pretty significant stop for any visitor to Addis Ababa, not to mention important to locals. As we were walking up, I asked Marco how old it was. He said he did not know and that the deacon would probably be able to tell us. We were pretty stunned. Neither of us had ever had a local guide who did not know such basics about key monuments. And because the deacon could not speak much English, and our so-called local guide could not speak more than a few words of the local language (!!! ), we basically spent a few minutes walking quickly around the cathedral in near silence, taking pictures of interesting looking things. Finally, we escaped and headed to dinner. We were excited for our first real meal in Ethiopia. Also, Marco had told us we would see a traditional coffee ceremony and traditional dances being performed there. We wound up at… a big bus tour restaurant with a giant Ethiopian airlines mural on the outside and an Ethiopian airlines model plane suspended from the ceiling. We were greeted with, “are you with a [tour] company?” And we learned Marco hadn’t even made reservations for us. Then we saw other big group tours ordering a la carte food to be brought out so their guests could at least enjoy them served in a traditional way, but we were directed to a long buffet that literally had fake pictures of fire taped along the side. The traditional dancers were dressed in far from traditional neon dress. And the traditional coffee ceremony girl sat around looking bored and annoyed and talking on her mobile phone. Ultimately, we were told there would not be a coffee ceremony after all and that we could catch one at Lalibela. The only saving grace was that the food was actually quite good, despite being served in a big bus tour cafeteria with zero ambience. Because we had to leave for the airport before 6 am the next day, before we were dropped off at our hotel, we asked Marco to please send us the name and contact information for our Lalibela guide so we could know who to look for when we landed. But that never happened. When we landed in Lalibela, we walked around the tiny arrivals area outside searching for signs with our names. Nothing. Then we pulled out the only itinerary Marco had provided us to see if there was a company or hotel name on it. All it said was “Accommodations - Lalibela Lodge or similar.” Everyone else on our flight had been scooped up by their respective guides and hotel shuttles and was long gone. We were literally the only people left standing at the airport, and were desperately trying to make use of the WiFi signal emanating from the baggage claim area to contact Marco as they started locking up the airport - it appeared that there was only our one flight coming in at that time - and yelling at us to move along. Reps from other tour companies and hotels were milling around us, trying to offer their help in getting to town or finding our tour company or hotel. They kept asking, understandably, “what is the name of your hotel? What is the name of your tour company?” But that was not information we had ever been given despite having asked for it. Eventually, our driver came. And to be honest, from that point on, aside from one additional snafu with how the meals that were supposed to be included were paid for, our time in Lalibela was great. We had a legitimate local guide take us around the churches that Lalibela is famous for. 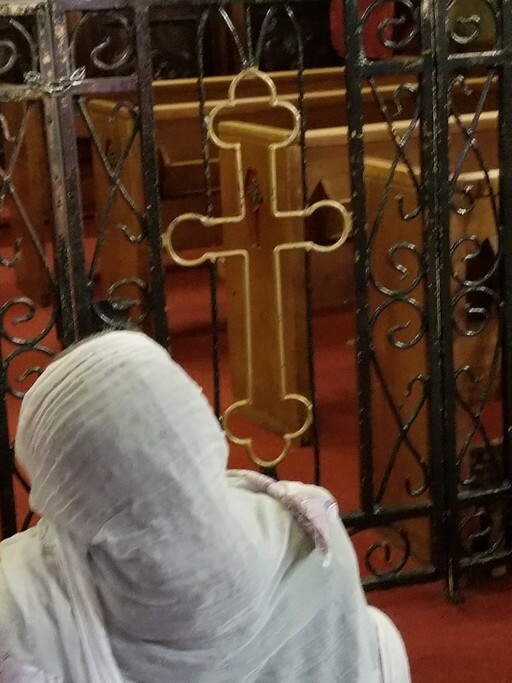 He had grown up in Lalibela, had worshipped at these churches his entire life, and was a fount of knowledge about their history, the art displayed in them, and the practices. We mentioned having missed out on the coffee ceremony in Addis Ababa and wanting to try local tej (honey) wine, and he made sure both happened during our short time in Lalibela. 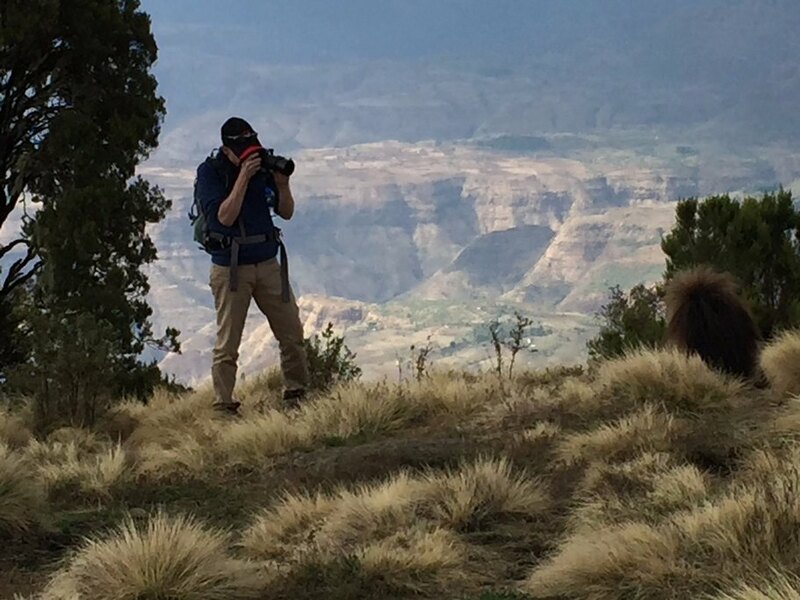 So, to be completely fair and give credit where credit is due, we were really happy with our Lalibela experience. Then he took us to a market filled with 300+ stalls that mostly sold identical looking traditional Ethiopian dresses but had no recommendations as to which stalls were better than others, so we gave up after a short while and moved on… to a juice bar, where he had invited a friend to meet him. Which would have been OK with us, except that the friend apparently was unable to find the place, so Marco got up, ostensibly to go help her, and left us sitting alone in the juice bar for 20 minutes, wondering if we had been abandoned and should try to make our way back to our hotel on our own. Then, Marco tried to take us to the wrong hotel despite us having told him a number of times, including at his request, where we were staying the last night since we were responsible for booking our own place for the last night. 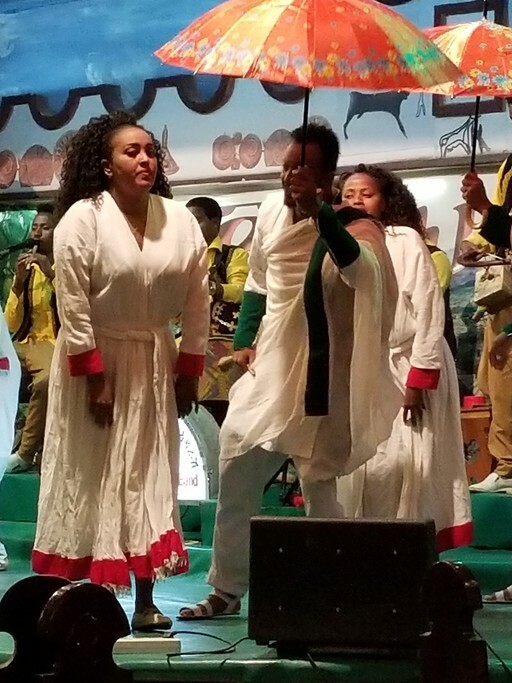 In sum, with the exception of Lalibela (post airport arrival trauma, of course), we felt that our overall experience with Kimkim was incredibly sub-par and disappointing and left us feeling like we had been sold a false bill of goods. We paid over $1000 pp for less than 4 full days (with Kimkim pocketing 5%) because we were promised we would have local specialist with in-depth knowledge of Ethiopia take care of all the details, and what we got for our money was no better, and likely much worse, than if we had just booked directly with the local guides in Lalibela and tried to muddle through Addis Ababa alone with a copy of Lonely Planet and the TripAdvisor app. Which is honestly what I urge everyone considering Kimkim to do instead. I cannot in good conscience recommend this company to anyone after the time we had. thanks for your long review and time spent in pointing out everything in detail. Let me explain to you how I see these things. - Reviews: I can guarantee and the Kimkim staff can confirm that all previous reviews are from real (and satisfied) clients and not fake or written by friends and family as you're supposing. - Phone registration: the registration of the mobile phone (which still now is unclear if it's necessary or not) was a news that came up in the very last moment and no one knew how it's going to work. Despite warning you (well, one of you, but I knew you were travelling together and supposed you exchange info), as you have seen Wifi was working on your phone and in my opinion for only 3.5 days in the country there is no need to buy a local SIM card (90-95% of our customers don't buy any, even if they stay 2 or 3 weeks). In case of emergency you always could have asked us to borrow our phone. - Ethiopian snacks: I even asked my Ethiopian wife, but there is really no typical Ethiopian snack. I thought a fresh fruit juice (which you enjoyed) can be equivalent to it. Kollo, mentioned in your review, is just meant to accompany coffee or other drinks and is not really something which stops your hunger. As snack maybe you can consider some traditional bread or Bakollo (kind of roasted corn), but it's not something you find at any place and hour of the day. 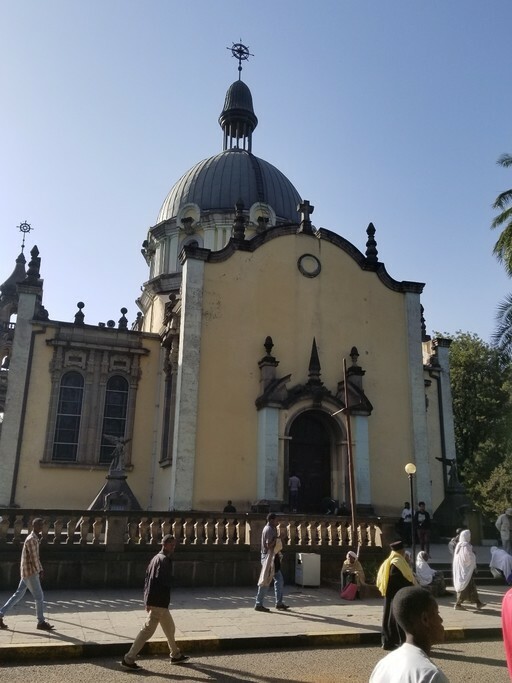 - Trinity church: as you maybe know in each tourist destination in Ethiopia it's mandatory to take a so called local guide (which usually can answer all your questions). I agree with you that not all local guides are professional, but the reason for the guiding problem in the trinity church was that due to delayed flight, hotel check, snack and traffic we arrived there shortly before 5pm, the time when the church is usually closing and local guides are leaving. I expected a guide (again, normally mandatory) to be there while they just assigned us a priest which we realized didn't speak English. Sorry for that. I was upset by myself and didn't leave him any tip (which usually I'm always doing). Anyway, I understand your disappointment for this visit and I apologize for it. One more thing, I admit not to know the exact year of construction of the church (should be task of the local guide), but I gave you an approximate date or decade. - Art gallery: the gallery we visited was (beside the other, Zebra Gallery) the best place to find local art. Of course also other tourists are going there to buy some souvenirs, but I don't agree that it's a tourist trap. At least in this gallery you find original Ethiopian things and not just Chinese copies like in the classic small souvenir shops (which I avoided). - Ethiopian dinner: 2000 Habesha, name of the traditional Ethiopian Restaurant, is one of the historical and best places to eat Ethiopian food. I admit the atmosphere recently became a bit too touristy, but there are few other options (and these look the same, btw). In most places not common for tourists to eat, the food and/or service is not really good or the place and kitchen not clean enough. Anyway I appreciate your comments and in future I will advise clients in advance about the kind of place. Finally, I didn't make any reservation because there was simply no need to do it for only 3 persons. Reservations are necessary for bigger groups but for 3 persons there is always space, as we have seen. - Lalibela: I already apologized (and do it again) for what happened at your arrival in Lalibela. Belaynew, who was supposed to pick you up, got stuck and could't reach the airport on time. This sometimes happened due to bad road conditions, poor conditions of some cars but most of all because of the generally very poor service of the public transportation. Anyway, no excuse, there should have been waiting someone for you a bit earlier. Anyway, I'm glad to hear that starting from this point you enjoyed the stay and visit in Lalibela. - Last afternoon in Addis: As I explained to you in Addis Ababa we don't have a standard city tour program for the capital, but usually I just give to the customers some options and we're carrying out the best suitable program depending on the interest of the people. To be honest I had the impression that you enjoyed the last afternoon in Addis Ababa. I took you to a place for lunch with good food and not at all for tourists, the guiding in the museum was more than just "this is a crown" and on the market with 300+ shops it's really difficult to give any suggestion because as you wrote in the end they are all selling the traditional clothes. I also had the impression that you were not really interested in these shops, since I asked you several times if you would like to have a look in one of the shops, but you didn't enter any. Then, before going to meet my friend I asked you if you don't mind to leave you alone for 10-20 minutes. I really thought it was not a problem to leave you for this time alone, in a safe place. Finally, dinner was held in a restaurant (with Lebanese, Armenian and Mediterranean food) which you chose and liked, although not Ethiopian. As for all other meals we included also all alcoholic drinks (and juices) even if it was not included. 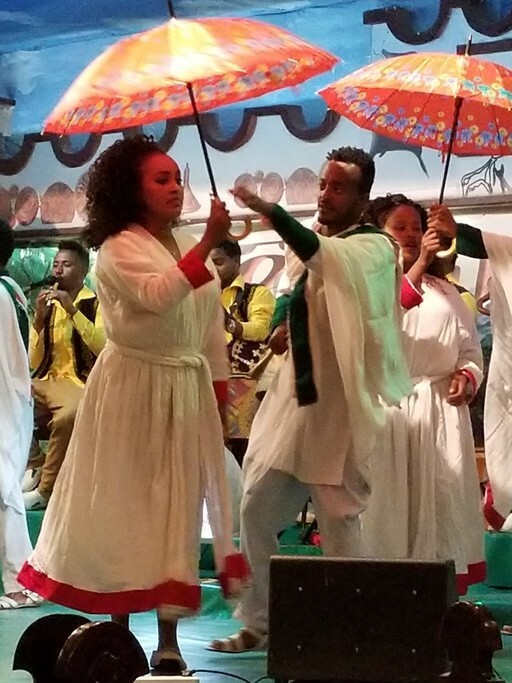 As general consideration, I think 3.5 days is very little time to see real Ethiopia and immerge yourself into the culture. I'm sorry that we didn't meet your expectations. We're constantly trying to improve ourselves and hope we can fully satisfy our next customers as we always did in the past. Even though there were some mild challenges, Marco was able to rectify everything which made the experience better than what my boyfriend initially anticipated. Marco was ABSOLUTELY amazing! I would recommend him to any and everyone. Thanks Camille for the feedback, and Nigel for travelling with us. And maybe one day you, Camille, are able to visit this beautiful country. The attention from Marco during all the searching and booking process was great, and the fact that you could pay all the travel costs through one platform made things very easy. He developed different travel proposals for me and give me all kind of recommendations and advice. Hi Macarena, thanks for the nice feedback. The trip allowed us to visit many exceptional sites accompanied by professionals, exploring and learning as we went. We especially appreciated the attention to our interests and the design of a trip that met our needs. 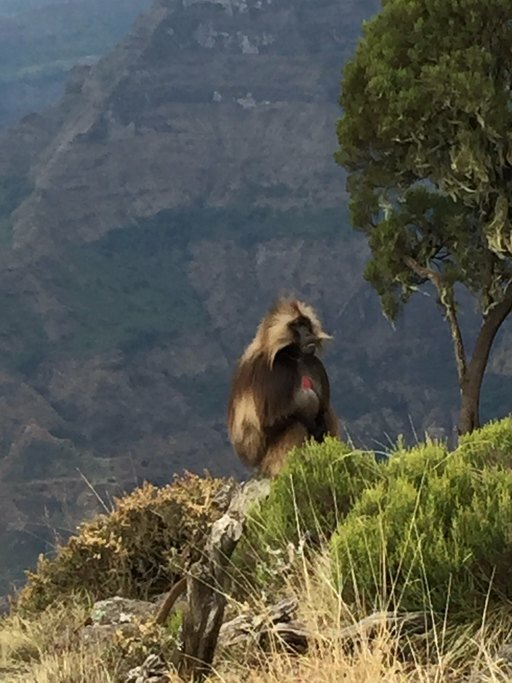 Highlights were too many to mention but included - great visits to the Blue Nile, the Simien Mountains with opportunities to visit with the Gelada, Lalibela, and Addis. The guides were consistently pleasant, knowledgeable, and helpful. 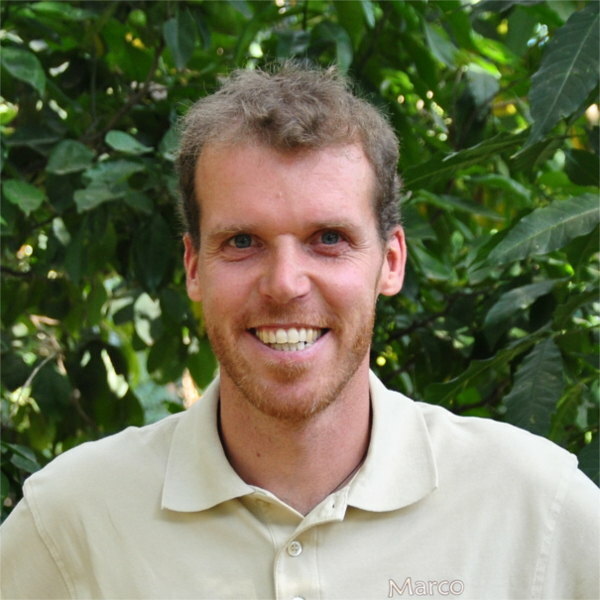 Marco has a great understanding of the country and opportunities to both see and experience it and an excellent ability to recruit team members across Ethiopia to support the trip. Really enjoyed our trip and our experience with the guides was fantastic. 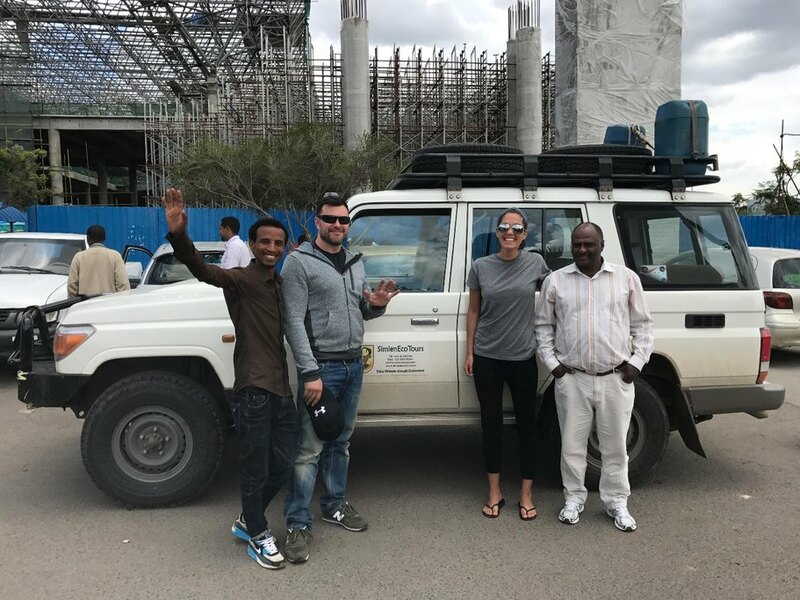 The whole experience went smoothly and SimienEcoTours and their guides are a large reason for our ability to immerse ourselves into the Ethiopian natural and cultural environment. Marco was very responsive before the trip, kept track of our experience to make sure all was well along the way, and served as a local guide in Addis as well. I'm glad to hear that you and Jeff have been fully satisfied with our services. Really loved using kimkim. Made everything really simple and convenient. All aspects of the trip were great. The highlights of the trip were the guides - both Bekele and Tadele were awesome to hang out with. I liked pulling over to talk to random people on the street and going on spontaneous adventures. It felt like a bunch of friends hanging out rather than a guided tour.